Many Indians born in 1960s to 1980s must be having nostalgic memories of watching first 3d movie “Chota Chetan” in theatre during childhood days. That was for the first time we were all blown away with three dimensional concepts. 3D Televisions and DVD/Bluray players has been around for more than 5 years now, but the cost of acquiring this technology & content unavailability always held us back. Good news is on 31-December-2013 Tata Sky starts 3D broadcast on High Definition boxes that is HD and HD+. With this 3D affordable content starts entering your home. Lets see what it takes for you to enjoy 3D Movie at your home or if there are any economic ways to adopt 3D in household. Any 3D Television or 3D monitor with HDMI input. 3D glasses, as many people would like to watch the TV. Tata Sky HD or HD+ set top box. on 31-December-2013, Tata Sky is offering Avengers and Planes Movie on Showcase for Rs. 150 from your Tata Sky account. 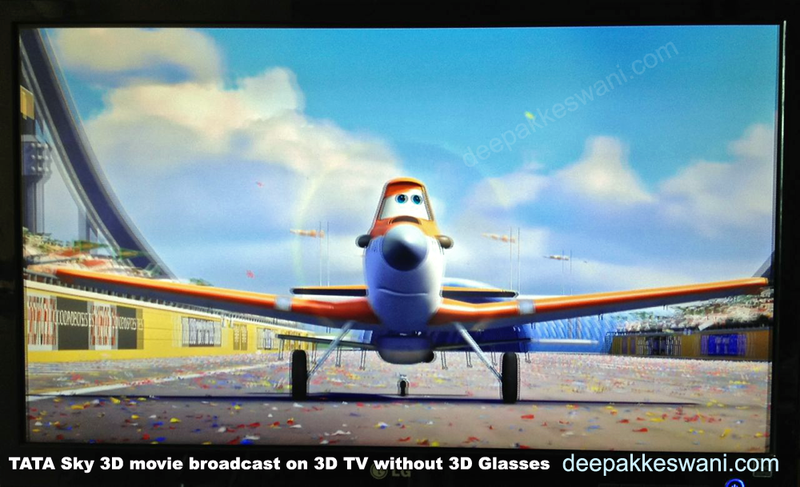 Following are photos clicked directly from Television today while Planes 3D Movie broadcast was going on. You don’t have 3D TV and looking for options? If you are planning to buy 3D Television, you should consider buying LG 3D TV. LG has passive 3D glasses which come very cheap does not require any re-charge and they are very light weight. If you wish to drastically cut the cost to jump into 3D movie viewing at home, you can look for the LG 3D Monitor. LG 3D Monitor Model LG-D2342P comes for about Rs. 16,500. This is 23 inch monitor comes with pair of passive 3D glasses, you can buy 3 more glasses for only Rs. 500 and start viewing 3D content. If you have regular SD Tata Sky Box, you can upgrade that to HD or HD+ box. I would highly recommend to go for HD+ box as you are anyway paying huge HD yearly subscription which is same for both the boxes. You can upgrade existing Standard Definition (SD) to HD+ for Rs. 4999. For one time cost you will have completely different Television experience. This will change your perspective to watching television as you will not be rushing home to watch any of your show. You can just keep that for recording and watch at your convenience. You can even bring your Tata Sky HD+ box on Wifi or ethernet network and control the box from your Android or Apple Phone send recording commands remotely from anywhere. As this is just beginning, I am sure everyone else will start the 3D broadcast on their boxes, so please wait for few months and keep a watch how other Satellite TV operators are responding. Do you need 5.1 speakers home theatre system ? Well, it is not compulsory but if you have 5.1 home theatre which takes HDMI input and processes 5.1 audio through speakers and sends one HDMI out to television you can get perfect Multiplex like experience at home. Sorry, but you wont be able to watch 3D on 15 year old TV. 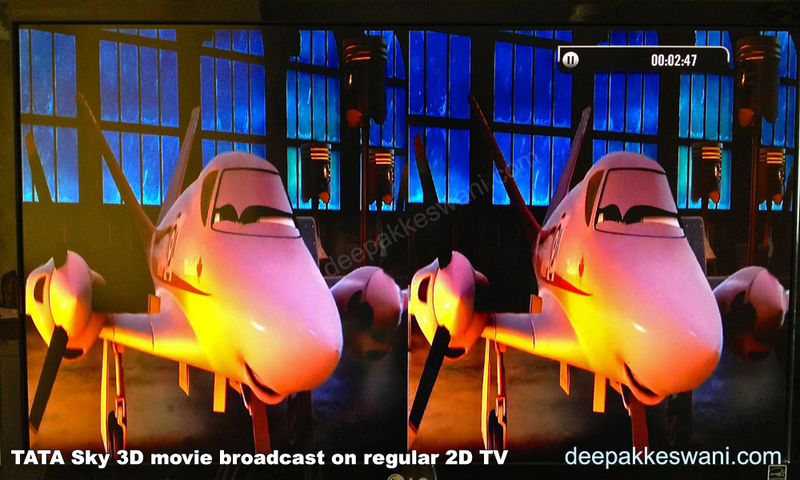 For watching 3D movies, you need to have Tata Sky HD box and 3D compatible TV. TV Industry is moving so fast. They have stopped marketing 3D. Now they are marketing for 4K and curved TVs. Hopefully this will make LED and 3D TVs cheaper soon. Best option you have is to go for LG 3D LED 23 inch Monitor instead of TV. That will be cheapest option & work with Tata SKY HD Box. You can connect that on HDMI port and use 3D Glasses to see 3D Movies. This will cost you less than Rs.15000. If you go for large TV with 3D and LED features, that will be above Rs.50,000. Nice to have gone through your site. It is only a few months after the 3D movie by Tata Sky. I have a Tata Sky HD set-top box with Samsung 40″ LCD – HD ready TV. I am thinking of buying a new TV but find it quite confusing as there are far too many features to comprehend. Could you please suggest a really a good TV with at least 2 to 3 years of future proofing, if not more? I shall like to have the viewing that is easy on eyes. 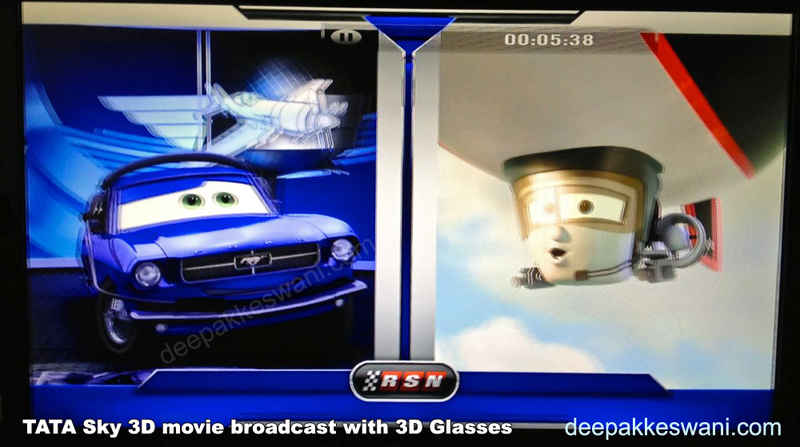 Tata SKY have not shown many 3D movies on set HD top box. May be they feel it is waste of resources as there are not many people owning 3D TV. Since there is not much 3D content generation, most of TV manufacturers have switched to market UHD or 4K High Definition display TVs. If you are keen on investing on this you can look for LG 4K 49 inch TV. This will have 3D, 4K quality capabilities. You’ll have to invest about 1.36 lakh on this. Similar 4K options are also available with Sony and Samsung models at higher cost. There is no specific 3D channel, but sometimes Tata SKY offers 3D movies on showcase channels. It's not on regular channel but some of the Tata Sky showcase movies are released in 3D format. Sir,I have DTH Set up box @ 3D LG 36'LED I want to watch 3D program of DTH(free channel to air) by changing set up box. Pl. Guide me.if possible then provide the contact no. Of the sale point of 3D set up box. Best way to access 3D content today is on youtube or blue ray disks and not the set top box. 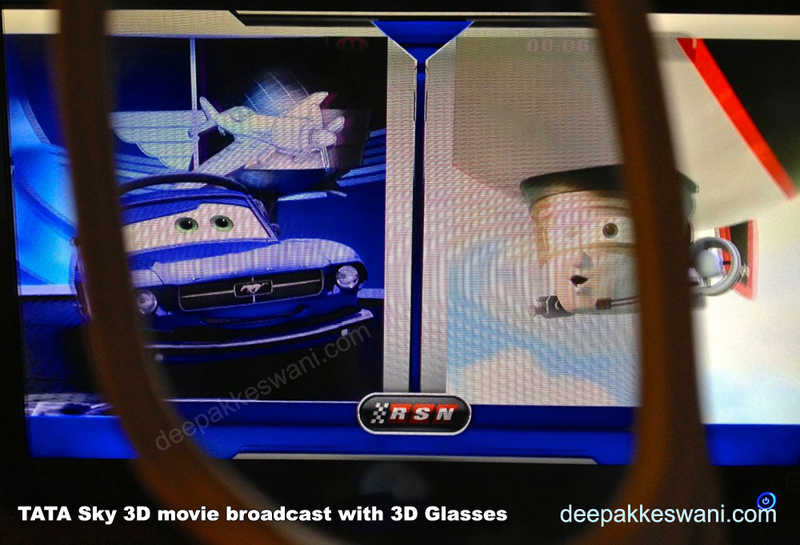 Though Set Top boxes are capable to do 3D broadcast, there aren't many movies that which are broadcast in 3D format. Or you can say there aren't mass 3d viewers, so 3D hasn't moved much in these years. 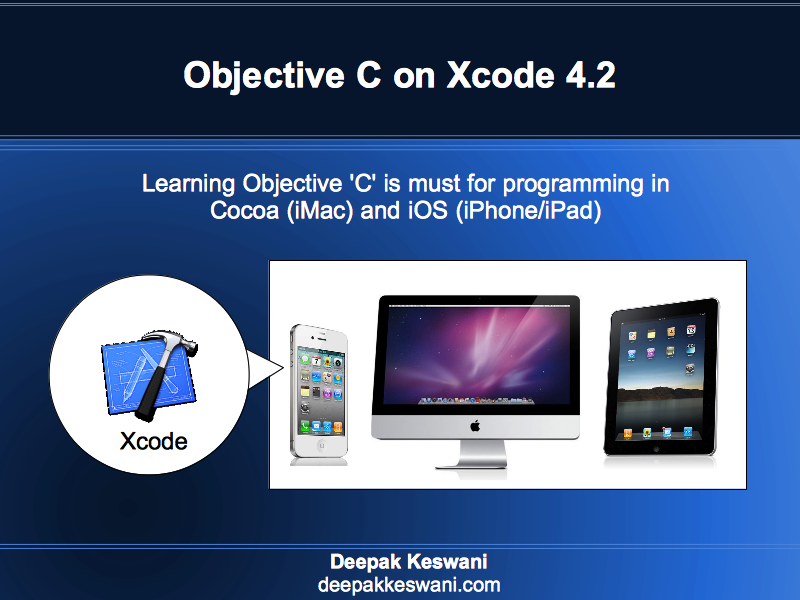 Dear deepak,sorry to say, though I have purchased LG smart(?) 3d TV,model lb 6500,55" on 26th of July 2015 vide your invoice no. OT/629/15-16.the TV is having problem of poor quality of YouTube display. I lodged the complaint to LG service center for no.of occasions but their technicians visits at our house,but could not solve my problem.since it has a warrant for two years I lastly ask them to refund the .but till this date no action is taken.now I request you as a our retail or take innetiave to solve my problem.hope you will do so. I've full sympathy to your situation, but I am not associated with LG or Tata Sky by any means. I am a simple website blogger who shares the personal experiences. I suggest you to reset your TV to factory defaults and see if that helps. You can also check in settings if there is latest TV firmware available to upgrade the software. Hopefully one of these should solve the problem. Otherwise you have no other choice but to call LG support and ask for replacement of TV. Call them twice or thrice in a week and ask the status of your complaint ticket number.